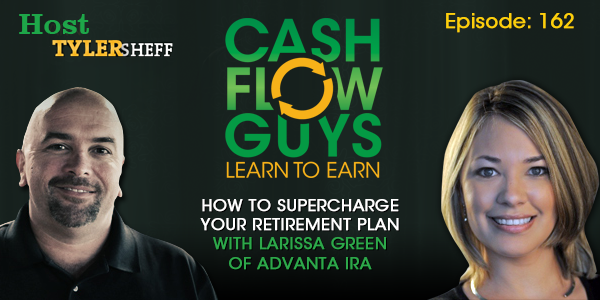 This week I speak with Larissa Green who is the Education Director at Advanta IRA. Advanta is a Self Directed IRA Administrator whose primary mission is to be a custodian of records for those who choose to have a self-directed IRA. A Self Directed Retirement Account allows the account holder to control their own retirement plan via the self-direction model. In short, with an SDIRA you can pick what your account invests in. The list of things you cannot invest in is very short and usually tied to some types of currency, antiquities, and insurance products/investments. Everything else is pretty much fair game (as long as it's not illegal). During this episode, we discuss lots of creative examples where people have invested in over the years to grow even the tiniest balance IRA’s into respectable amounts. By self-directing your retirement funds you eliminate lots of fees and commissions that are common to stockbrokers and financial planner supervised investments. Imagine the possibilities of what you could do with all that extra money? Another huge benefit is that companies like Advanta keep us compliant with IRS regulations and also help monitor the progress and valuations of our investment accounts. Additionally, they help keep us in check by providing a baked-in system of check and balances that are required in order for your funds to be dispursed. This episode is a goldmine of information so buckle up, grab a notebook and enjoy!